This comprehensive webinar will cover the dental sleep medicine team, records and consent forms, screening parameters, the effective use of home sleep tests in the office, and much more. Encourage your team to join you for this webinar, as you will want to start implementing some of the ideas you’ll learn in this webinar the very next day. 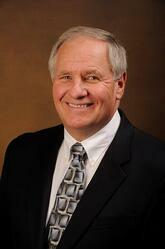 Ken Berley, DDS, DABDSM, has practiced general, implant and cosmetic dentistry for over 35 years. A concern and passion for the patient's well-being, combined with his dental experience, led Dr. Berley to complete extensive training in the field of dental sleep medicine, to ensure the effective and appropriate treatment of patients suffering from obstructive sleep apnea. Dr. Berley has gained recognition among physicians, dentists, and patients for his ability to effectively treat and manage patients with mild to severe obstructive sleep apnea using oral appliance therapy. In 2015, Dr. Berley became the first Diplomate of the American Board of Dental Sleep Medicine in Northwest Arkansas and one of only two (as of 2016) in the state of Arkansas, as well as one of 300 worldwide. Dr. Berley is also an attorney and with his knowledge and experience, he teaches other dentists across the nation how to effectively treat patients with obstructive sleep apnea. He is a member of the American Academy of Dental Sleep Medicine, American Dental Association and the Academy of General Dentistry as well as local and state dental associations. He is married to his wife Patty who is his office manager, has 3 daughters and is an avid outdoorsman as well as a fan of the Arkansas Razorbacks Baseball team.